Why live and invest in a country with constitutional monarchy? Spain, a country adjacent to the Mediterranean Sea and Atlantic Ocean, which has a king (Philip the 4th), rich in history, culture, tourism and good weather. Stated among the top destinations of the world. Although Spain it is not only on the “places to travel” bucket list. Spain has also a real potential of investment and make a living. Widely regarded as the best all year round climate in Europe, the southern Blanca normally offers up to 320 days of sunshine a year with a low registered rainfall. Its unique dry micro-climate and warm winters is one of the main reasons astute northern Europeans find this area so very desirable. Why live in the cold and damp any more, this part of Spain is just over 2 hours flying time away. Recommended by the World Health Organization as “near perfect environment as it is possible to obtain”. Near miraculous cures have been recorded in this area and especially beneficial to people who suffer from Asthma, Rheumatism, Arthritis or heart related problems. Spain offers truly exceptional, quick medical treatment and many new hospitals, recognized as far superior to the U.K. The difference can be amazing, try it for yourself and you will soon note the contrast to living back in the U.K. This area offers greatly reduced living costs, low crime, more to do and enjoy, greater social life and of course that fabulous weather. You just feel that much better especially with winter evenings remaining brighter for much longer than back home, if you enjoy life you will certainly enjoy Spain and all it offers in a safe, secure, established environment. It is well proven fact that you can live and own a freehold property in this glorious area for considerably less than back at home. Estimated savings on general yearly property running costs are between 30-40% less than in the U.K. with heating and food being noticeably cheaper. Ask anyone who lives there permanently and you will soon find out the many reduced cost and savings on offer. 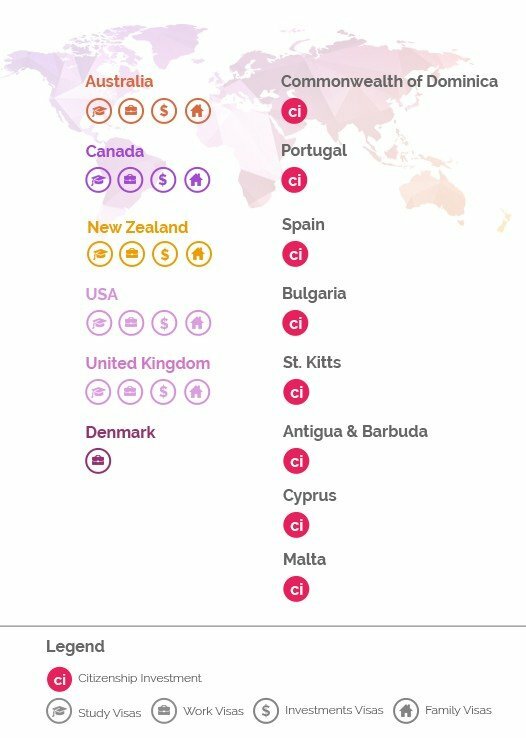 Spain constantly tops the lists of European countries for increased property values, couple this with a safe, strong economy and it can only get better. Making an investment in Spain is an appealing option for many investors looking to invest in Europe. However, before investing in Spain, it is very important to know the ins and outs regarding these opportunities. There are nearly 60 golf courses in Andalusia, of which 30 are on the Costa del Sol. The fine weather allows golf to be popular all year round. Those who purchase golf property as an investment usually rent their property for most of the year. Real estate agents or the golf complex developer will arrange to manage the rentals for a fee of around 15%. Andalusia is actually bigger than some countries. Many people think the province and the Costa del Sol is the same thing, but there’s a lot more to Andalusia than endless resorts. It’s divided into eight provinces: Málaga, Seville, Córdoba, Granada, Jaén, Almería, Huelva, and Cádiz. Care is being taken to protect this undiscovered region around Huelva and Cádiz, nicknamed “the Spanish Algarve” because of its proximity to the Portuguese border. A property here could be a worthwhile investment—homes are substantially cheaper than equivalent properties on both the Costa del Sol and the Portuguese Algarve. Plus, strict planning laws mean that it will never become overbuilt. A good town for a property search in the Costa de la Luz is Chiclana de la Frontera. Splendid beaches are just seven miles away, and settlements near Playa La Barrosa are some of Spain’s most architecturally charming. Small, low rise apartments and intensely white, attached houses with neat, flowery gardens front the beach. In the pine woods beyond are low-density developments–apartments and individual bungalows, usually set around a communal swimming pool. La Barrosa’s golden sands run for five miles down to Novo Sancti Petri, where there’s a golf course. Even in winter, these little resorts aren’t dead–most beachfront cafés remain open and there are plenty of people about. Spain has recently approved a special legislation offering a fast way for investors (Non-EU citizens) to receive a resident visa combined with the privileged permission for unlimited travel within the EU Schengen Visa Zone (member states of the Schengen Agreement: Austria, Belgium, Czech Republic, Denmark, Estonia, Finland, France, Germany, Greece, Hungary, Iceland, Italy, Latvia, Liechtenstein, Lithuania, Luxembourg, Malta, Netherlands, Norway, Poland, Portugal, Slovenia, Slovakia, Spain, Sweden and Switzerland)*. The so called Spanish Golden Visa grants a resident permission in Spain, which can be renewed for up to five years until it then becomes permanent and a Spanish passport and citizenship can be applied for. Depending on the type of investment (property, state obligations or shares in companies), applicants for the Golden Visa have to invest in Spain a minimum of 500.000 Euro only (if the investment is into a property). The new residence permit offers at the same time the visa holder and his immediate family an immediately save heaven in case of any unrest in the mother country. Spain Golden Visas are granted very quickly: The application process takes approx. 20 days. *Twenty two of the European Union (EU) member states and the four European Free Trade Association (EFTA) member states participate in the Schengen Area. Of the six EU members that do not form part of the Schengen Area, four– Bulgaria, Croatia, Cyprus and Romania – are legally obliged to join the area, while the other two – Ireland and the United Kingdom – maintain opt-outs. Four non-members of the EU, but members of EFTA – Iceland, Liechtenstein, Norway, and Switzerland – participate in the Schengen Area while three European micro states – Monaco, San Marino, and the Vatican – can be considered as de facto parts of the Schengen Area as they do not have border controls with the Schengen countries that surround them. With 2 established International airports situated between its developments at Alicante and San Javier (Murcia) offering daily low-cost flights from most regional U.K. airports, it just could not be easier to get to. With the exciting new International Airport soon to be built at Murcia City, very soon there will be 3 international Airports to choose from. Add to this the huge number of people who take the ferry to Northern Spain or the French ferry ports and drive to their new home in Spain, we firmly believe it is the best location in Spain for ease and low cost of access from anywhere in the U.K. Warm and generous people, renowned for their genuine hospitality and are to glad share their relaxed lifestyle with their European friends. One of the main reasons Spain is so popular is the Spanish nation are so helpful and accommodating to its visitors, perhaps that’s why 1 in 4 people from the U.K. holiday there every year and just keep going back, they cannot all be wrong, can they? This is the real reason so many people choose southern Spain over other countries, you simply just feel better and more relaxed in this balmy atmosphere. You cannot describe or put a price on the “feel good factor”, it is just there for all to enjoy, unique to Spain and best of all “it’s free”. The much-improved quality of life and less formal attitude to day to day living is without question the main reason so many people say they wish to buy a new home in Spain. This being said, I hope I have convinced you to take into consideration the idea of giving Spain a chance. 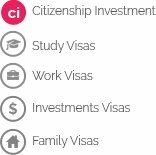 More detailed information is available through The Immigration Office assessment. All our Investment assessments are free, individually made according to your needs and 100% confidential. Please read our Terms and Coniditions Policy.